Replacing your strings is the easiest thing you can do to change or upgrade the sound of your ukulele. If you bought a dirt-cheap ukulele, it is very likely that it came with subpar plastic strings. Short of buying a better ukulele, you may want to consider changing the strings out for better ones. Fair warning: better strings are not in any way magical strings. They will not make your $15 ukulele sound like a $400 ukulele. But they’ll still be a vast improvement. It may not sound perfect but even just the feel of the strings compared to cheap ones will be worth it. Even with more expensive ukuleles, changing strings is something you may want to try. Choosing the right strings, much like choosing the right ukulele, is quite subjective. The right strings will be ones that complement your playing style or technique. Some strings may give off a warmer tone than others while some have that thinner twangy quality that some of you may be looking for. In the interest of making your journey to find the perfect set of strings as short as possible, we’ve put together ukulele string reviews of the sets you should be checking out. Aquila strings are probably the most popular ukulele strings out there. Kala, Cordoba and other ukulele manufactures include premium Aquila Nylgut strings on their ukuleles straight from the factory. Aquila strings are made in Italy with Aquila’s own Nylgut material, which aims to emulate the traditional feel and sound of gut strings using their proprietary formula. These strings pack a punch. The have impressive volume, and they feel very comfortable under the fingers. The sound is rich and full, and the notes ring out with crispness when plucked. It’s no wonder ukulele players everywhere consider these some of the best ukulele strings out there. 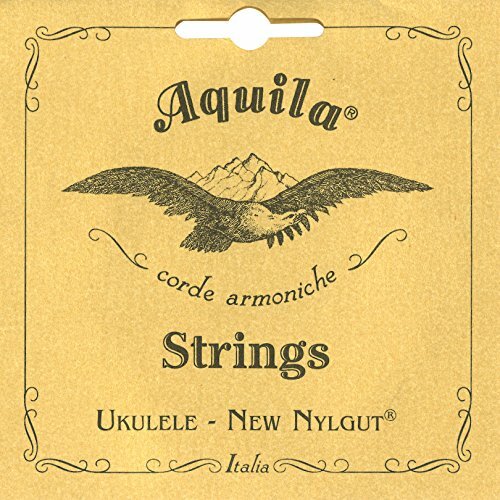 Aquila Nylgut strings come in Soprano, Concert, Tenor, and Baritone sizes. 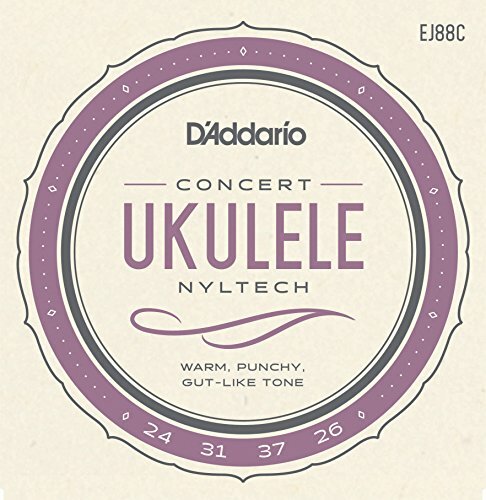 D’Addario also makes great ukulele strings, and their Nyltech strings are an excellent choice. D’Addario’s own Nyltech material was made in cooperation with Aquila, so you’re getting the combined effort of two great string manufacturers. The D’Addario Nyltech strings offer higher tension than Aquila’s Nylgut strings. They have a very warm tone that is still quite bright with great intonation. If you want a brighter tone, D’Addario also makes Titanium ukulele strings, which are made with a titanium monofilament material. These strings feel very similar to nylon, but have increased projection and brightness. D’Addario Nyltech strings come in Soprano, Concert, Baritone, and Tenor sizes. La Bella is a well-known maker of classical guitar strings, but they have also been supplying strings to top luthiers in Hawaii for many years. Their Uke-Pro ukulele strings are the culmination of La Bella’s Ukulele string-making expertise and experience. These strings offer top quality at a price that is cheaper than a set of Aquilas. The La Bella Uke-Pro strings accentuate that mellow tone that many musicians prefer on their ukuleles. They offer a bit more fullness and sweetness than Aquilas. They are also smoother to the touch, so they are easier on the fingers for long playing sessions. 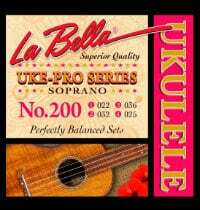 La Bella Uke-Pro strings come in Soprano and Concert/Tenor sizes. The old Martin strings that came default with the purchase of a Martin ukuleles weren’t too inspiring, and they were often changed out and replaced with other strings right away. But low quality Martin ukulele strings are a thing of the past, and their new strings can go toe-to-toe with the best. The new Martin ukulele strings are made with fluorocarbon, and they have an incredibly warm, bright, rich tone. The thinner string gauge allows for easier picking and produces a smoother sound. If you’re looking for an overall softer tone for your ukulele, these strings are a good bet. 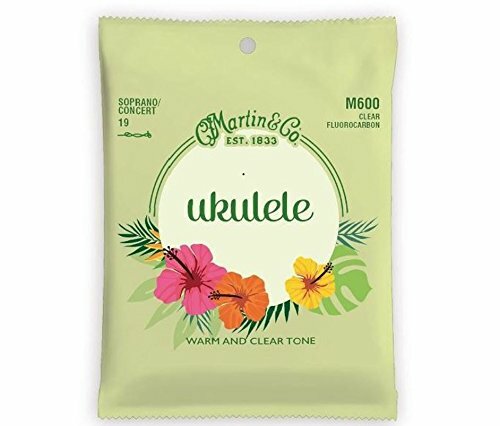 Martin ukulele strings come in Soprano/Concert, Tenor, and Baritone sizes. A great option for the ukulele player on a budget, GHS ukulele strings are no-frills nylon strings that deliver great tone at an affordable price. They have a warm, mellow tone with great playability and intonation. And if you like the bold look of black strings on your ukulele, these strings have you covered. These may not be top-of-the-line strings with patented materials that mimic the sound and feel of gut strings, but as a basic set they work just fine. Slap these on your cheap ukulele, and they will sound worlds better than the strings it came with. 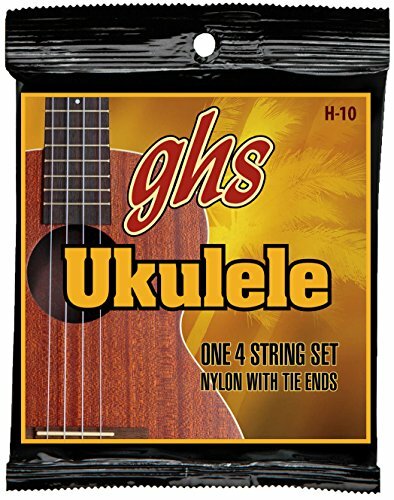 GHS ukulele strings comes in Soprano/Concert, Tenor, and Baritone sizes. It’s surprising how much a set of good ukulele strings can change the tone of your instrument. The perfect strings for you completely depends on your individual preferences, so it’s tough to say one particular set are the best ukulele strings. Whether your strings are worn out and you’re looking for a new set or you want to completely change your sound, you should be able to that perfect set for you on this list. A good cheap ukulele with a top end set of strings is a killer combination.